What is now known as Bloody Sunday took place on this day in 1972. The contemporary account below is from the March 1972 edition of our journal. On Sunday 30 January thirteen men were shot dead in Derry as the British Army moved in to halt a march held in defiance of the Stormont government's ban. The immediate result was an upsurge of Irish nationalism, both in the South and amongst the Catholic minority in the North. The thirteen Derry dead has completed the alienation of the Catholic population of Northern Ireland from the regime there. After fifty years of passively accepting the role of what its first Prime Minister called "a Protestant parliament for Protestant people", they are now actively rejecting its authority - to the extent of regarding the IRA as a useful counter to the British Army which is virtually occupying their ghettos in Belfast and Derry as well as whole towns such as Newry and Strabane where they form the overwhelming majority of the population. The Unionist government at Stormont, and the British government at Westminster, see this as an armed insurrection against the will of the Northern Ireland majority, and to a certain extent it is. But it is well to remember that it was the political predecessors of Faulkner and Co. who in 1914 introduced the gun into Northern Irish politics when they armed themselves to resist the will of the British parliament that Ireland should be given Home Rule. The capitalists in and around Belfast did not want to be cut off from the markets of the British Empire behind the tariff walls of an industrially-backward Ireland. So, from the 1880's onward, they created a mass political following by stirring up the traditional anti-Catholic fears and prejudices of their Protestant workmen. The strategy worked. When in 1921 an Irish Free State was set up, the six counties of North East Ireland were excluded. The one-third Catholic minority in this area was by gerrymandering and intimidation excluded from playing any effective role in politics there. They were just awkward outsiders which the Unionist government, relying on the support of the Protestant majority, felt it could easily handle. As indeed it did until 1968, despite the occasion IRA "campaign" which fizzled out through lack of popular support. In October of that year part of the official armed forces of the Stormont regime - the notorious B specials - brutally suppressed another march, once again in Derry. From then on the Stormont government lost control and the British Army had to be called in to maintain "law and order", i.e., to get the Catholic population to once again passively accept Stormont and British rule. The British government extracted a price from Stormont for this support: gerrymandering and intimidation was to stop; the Catholics in Northern Ireland were to be treated in the same way as they would if they lived in England. Since, with the coming of Common Market capitalism, the original economic reason for Partition had gone the political representatives of the Belfast capitalists were prepared to accept this (even if many of the Protestant workers they had duped in the past were not). One of the unfortunate side-effects of the Northern Ireland situation is that the term "socialist" has become associated with pro-Catholic politics. Protestant and Catholic alike expect someone who calls himself a socialist to back the IRA or at least support a United Ireland. Well, we support neither. We know that "independence" for Ireland in 1921 was just a change of masters which left the basic position, and problems, of the Irish worker unchanged. We know that Irish nationalism and republicanism was the ideology of the up-and-coming capitalists in the South who, being weaker than their counterparts in Belfast, wanted Home Rule and tariffs as a protection against British competition. The tragedy of Northern Ireland is that the present political division of' the working dass there reflects yesterday's divisions amongst the Irish capitalist class, divisions which now have no relevance even for capitalism since both Britain and Ireland are about to join the Common Market and since the same international companies have investments both sides of the Border. Our advice to the worker in Northern Ireland is, first: Do not do anything, in word or deed, which might encourage further killings of your working-class brothers, whether Protestant or Catholic or, for that matter, British soldiers. And, secondly: Think carefully about the situation to see if the issue of a United Ireland versus a British Ulster is worth a single drop of working-class blood. The British government's declared aim is that Northern Ireland should become a part of Britain like Scotland or the West Country so that being a Catholic would not affect your job or house prospects. The IRA, and now Bernadette Devlin, the Social Democratic and Labour Party and others, stand (despite their socialist pretensions) for a United Ireland, in which the Protestant worker would retain the "civil and religious liberties" he now has (i.e., freedom from the interference of the Catholic Church in what he reads, or thinks, or does). True, both programrnes are somewhat unrealistic since the Catholics of Northern Ireland, with some justice, distrust the Unionist politicians who would continue to rule Northern Ireland while the Protestants, again with some justice, doubt the ability of Irish politicians to control the Catholic hierarchy. But, for the moment, suppose both aims could be achieved. Would the working class be worse or better off under one or the other? Would there be anything to choose between the two "solutions"? Surely, in both a British Ulster or a United Ireland, the workers' standard of living would be much the same. So would the slums, the unemployment and the other problerns of capitalist society. And world Socialism would remain the only solution to these problems. The only difference would be the colour of the flag that would fly over the government buildings in Belfast: Union Jack or Irish Tricolour? Is this an issue worth killing and being killed over? No, Socialists reply, a thousand times No! This article originally appeared in the French political journal, Economies et societes, cahiers de l'ISMEA, Paris, serie S, Number 18, April-May 1976 issue. But to deny this is to in effect deny that socialism can be established. For socialism, as a fully democratic society based on the common ownership of the means of production (1), demands, in order to function, the voluntary co-operation and conscious participation of the immense majority of the population. It is a society which simply cannot be established by a minority, however enlightened, determined or benevolent. Leaders, whether reformist parliamentarians or insurrectionist vanguards, cannot establish socialism; all they can and have established is some form of state capitalism. It is instructive to see why the Bolsheviks were, for a few years, advocates of workers' councils. The "constitutional" basis for their seizure of power in November 1917 had been a decision of the All-Russian Congress of Soviets to depose the Provisional Government of Kerensky and set up instead a "Provisional Workers and Peasants Government". Thus the Bolsheviks popularised the slogan, in the rest of Europe as well as in Russia, of "all power to the soviets" (i.e., workers' councils). After they had dissolved the Constituent Assembly in January 1918 they were forced, in order to justify this action, to step up their propaganda in favour of the soviets as an alternative to parliament. The election of a Constituent Assembly, which would decide the future constitution of Russia, had long been a demand of all Russian revolutionaries, including the Bolsheviks. Elections, even though held after the Bolsheviks take-over of power, gave the Bolsheviks only a quarter of the seats, a majority going to the peasant party, the Social Revolutionaries. Lenin gave a number of reasons why the Assembly had had to be dissolved such as out-of-date electoral lists and a split in the Social Revolutionary party between the presentation of candidates and the election. But all these could have been remedied by fresh elections. This the Bolsheviks wished to avoid since they were fully aware that the result would be more or less the same. They determined to hold on to power, while still wishing to be regarded as democrats. Hence Lenin proclaimed that the soviet system was a higher form of democracy than the "bourgeois" parliamentary system. "The mystery of the 'soviet regime' is now deciphered. We see now how an organism that is supposedly created by the specific peculiarities of a labor movement corresponding to the highest development of capitalism is revealed to be, at the same time, suitable to the needs of countries knowing neither large capitalist production, nor a powerful bourgeoisie, nor a proletariat that has evolved through the experiences of the class struggle." In other words, in the advanced countries, the proletariat resorts, we are told, to the soviet form of the dictatorship as soon as its elan toward the social revolution strikes against the impossibility of realizing its power in any other way than through the dictatorship of a minority, a minority within the proletariat itself. "The consequent course of the Russian revolution cured Lenin of his passing 'lack of faith'. The soviets fulfilled the role expected of them. The rising tide of bourgeois revolutionary enthusiasm set in motion the worker and peasant masses, washing away their 'meanness'. Lifted by the wave, the Bolsheviks possessed themselves of the government apparatus. Then the role of the insurrectionary element came to an end. The Moor had accomplished his task. The State that came into power with the aid of the 'Power of the Soviets' became the 'Soviet Power'. The Communist minority incorporated into this State made itself secure, once for always, against a possible return of the spirit of 'meanness' " (p. 28). "If the proletariat destroys the political rule of the bourgeoisie, this will only be a temporary victory, only an element in the service of the bourgeois revolution itself, as in 1974, so long as in the course of history, in its movement', the material conditions are not yet created which make necessary the abolition of the bourgeois mode of production and thus the definitive overthrow of bourgeois political rule" (Karl Marx, Selected Writings in Sociology and Social Philosophy, edited by T. B. Bottomore and Maximilien Rubel, Penguin Books, London, 1963, p. 244). Just as a seed contains the varied hues in a flower, so capitalism at its birth contained all that has flowered into various expressions of revolt. The misery it brought has fostered ideas of short cuts to salvation that continually reappear with different signposts. Thus, the main arguments of Syndicalism were repeated by the Bolsheviks and their servile followers in Britain in the 'twenties and 'thirties. The claims that Syndicalism was based on the principles of Marx; that the mass of workers were ignorant and inert, and required leading (and forcing) into the promised land; that the days of theory had passed and the days of action come - these and a host of other ideas demonstrated not only a similarity in outlook between Syndicalism and Bolshevism, but the common source of both movements. The backbone of Syndicalism was the General Strike. As a proposed means to achieve the workers' emancipation it has an old history, and received considerable support before the capture of power by parliamentary action had come within the workers' reach. Like Anarchism, it attracted artists and professional people by its insistence upon leadership, its violent attacks on established institutions, its spurning of theoretical knowledge, and its promise of rapid victory. In England and America the influence was brief (though for a short time it captured the imaginations of some who should have known better). The main support was in countries where small industries flourished as France, Italy, Spain and Russia. It was in France that the General Strike was first exhaustively discussed and propagated. The growth of the trade-union movement led to a struggle between its advocates and those of political action At the Trade Union Congress in 1879 the Guesdist movement, which stood for the conquest of political power. scored a temporary victory, but political action subsequently lost its hold. To the impatient, industrial action appeared as a royal and easy road without having to wait. In 1888 the Congress of the French National Federation of Trade Unions voted in favour of the General Strike and the idea then spread rapidly, even receiving some support from political parties. Among its champions was Aristide Briand who, later as a capitalist cabinet minister, was its vigorous opponent and oppressor. The arguments for the General Strike at that time may be summed up as follows. To strike was legal, so no matter how widespread it might be the government was unable to prosecute the strikers. A general stoppage of work would reduce the ruling class to famine; it would need to be operated only a short time to compel the government to capitulate and bring the workers into control of power. Its spontaneity meant that it could begin at any time and, hastened by propaganda and organization, bring about the revolution rapidly. The workers must have an organization to take over production afterwards, and the trade unions were admirably suited for this purpose. Although a minority in the trade-union movement, the anarchists soon occupied key positions and by the middle of the 'nineties’ were the dominating section. Apart from their fanatical activity, they were assisted by the method of selecting delegates by group and not by number. Being divided in many small groups while their opponents were in fewer larger ones, the anarchists were able to capture the controlling influence; the few highly industrialized parts of France were not able to send as many dele-gates to conferences as the scattered backward parts where the anarchists predominated. Consequently each congress was "packed" by anarchists - a form of "tactics" with which we are still familiar. Under their influence, General Strike propaganda went beyond just sitting down and folding arms. Sabotage was adopted, involving the destruction of means of production and the forcing of the support of the unwilling. The practical policy that grew out of the French Revolution and was adopted by Blanque, Bakounin, De Leon and Lenin was based on the idea that an active minority can carry with it an inert and ignorant mass. It is a policy that depends upon leadership and always places power in the hands of one or two outstanding persons, finally degenerating into personal quarrels between these leaders. Behind it, though rarely recognized, is the conflict between idealism and materialism: the power of the idea alone against the power of material circumstances, which include ideas. In 1895 a new federation of workers was formed, the General Confederation of Labour (known as the CGT - Confederation General de Travail). It included the General Strike as part of its programme. A conglomeration of unions and federations, it comprised all political shades but was ruled by the anarchist minority until 1909, when the crushing of a large-scale postal strike made clear the weakness of industrial action against the power of the state. The opposition to the General Strike policy, particularly by the Guesdists, also showed its failings. For example, the syndicalists were compelled to include anti-militarist propaganda, as an admission that governmental power would not collapse in a general cessation of work. Probably the most complete expression of the syndicalist outlook is contained in Arnold Roller's The Social General Strike (published by the Debating Club No. I, Chicago, 1905). Sliding over difficulties and inconsistencies, the writer distinguishes between strikes for higher wages or political privileges and the strike. According to him the General Strike begins in a small way, spreads in sympathetic strikes, and develops into the overthrowing of the system; it is the culmination of hundreds of earlier strikes in which the workers have gained experience and an ever-stronger sense of solidarity. Following that argument, one would imagine that the majority of workers had gradually acquired sufficient class-consciousness to understand their social position and desire a change in the basis of society. But this is not the syndicalist view. According to them, the mass of workers are backward and inert until the General Strike commences. Then, in the course of the movement, they become more active and enthusiastic until they convert the strike from the attainment of some minor object into the social revolution. And this change is supposed to occur in a few days or weeks, as production and distribution are brought to a standstill: knowledge grows like a mushroom out of the quagmires of disaster! "Modern industry, with its extremely specialised labour division and complications, is but poorly adapted to oppose a general strike caused by a minority, for the strike will completely wreck the whole system necessary for the management of production, and vital the life of modern society." The sabotage to assist in this wrecking was include cutting telephone and telegraph wires; tea ing up railway lines; causing accidents; loosening screws in machinery; destroying supports and applying fire and dynamite in mines; sinking ships; and many other methods of destruction - a choice assortment is also described by Pataud and Pouget in the phantasy Syndicalism and the Co-operative Commonwealth, 1913. Thus, as in the policy of Bakouni society is to be completely wrecked. In such circumstances, what would be the position of the workers? The inert mass that has sudden developed "revolutionary fervour" is supposed to trust local leaders, who will pacify them by reporting the progress of the revolution (how, with the means communication smashed, is not explained). The feeding of the population in the midst of this wreckage is also glossed over with childlike simplicity, with the answer that hungry people will attack stores of food. Leaving out of consideration the action the government. what citv has stores of food to support its inhabitants for any length of time? And what about water and sanitation? It does not require a great deal of imagination to foresee disease at devastation sweeping through cities like London Paris, Berlin and New York. If the syndicalists we as successful as they hoped, it would not be a question of bringing the ruling class to their knees but of submerging everyone in a common holocaust disaster. But before matters had reached such a pitch the government would have stepped in with the forces at its disposal. Roller has an inkling of this. claims first that the destruction would be so wide spread that there would be insufficient military for to cope with it, and then that it is essential to get the military on the side of the workers: "For revolutionising of the present order of society, anti- militarism and its propaganda is an absolute necessary supplement to the General Strike." In order to illustarte the power of the General Strike, the syndicalist Roller in his pamphlet The Social General Strike gives examples which point instead to the power in the hands of the state. He instances the General Strike which started in Alcoy, Spain, in 1874 where: "The accomplishment of the reconstruction, however, was prevented by the troops, which were sent by the government to reconquer the city." (Page 26; emphasis ours.) Next, the eight-hours movement in America, which culminated in the Haymarket tragedy in May 1886; here again the Government showed its teeth and the labour movement suffered. Referring to another general strike, at Barcelona in 1902, he concludes with the fatuous remark: "The comrades of Barcelona finally were defeated, nevertheless they proved the invincibility of the General Strike." "It is an indisputed fact that a brave deed, be it one of a single individual, or of an energetic enthusiastic minority, arouses thousands from their slumber, and with one thrilling shock turns them desperate fighters for the good cause, while ten years of theoretic agitation could not tear them away from their apathetic condition." This has implicit in it Blanquism and propaganda by deed. It is another way of saying: "The time for theory has passed, the day for action has come." All action is based on theory, but when the theories are out of tune with the facts as in the case of the syndicalists, the action is likely to lead to disaster. "Syndicalism and democracy are the two opposite poles which exclude and neutralize each other . . . This is because democracy is a social superfluity, a parasitic and external excrescence, while Syndicalism is a logical manifestation of the growth of life." "It is better to have an active group who know how to carry the masses and turn them in the right direction by their words and actions." Sorel also makes bitter attacks on democracy. In fact all minority groups have always claimed to be acting for the mass of the people, whether the latter recognize it or not. The only movement in the interests of the great majority that can ever be successful is one they understand, desire, and freely and willingly work for. In time, the CGT began to lean more towards political action and reform policies. After bitter experiences, belief in the General Strike lost its strength and the influence of ideas of sabotage and violence declined; until the movement paralleled that of the English trade unions that had absorbed numerous craft unions into a comparatively few large organizations. Then, after the first World War, the propaganda of Bolshevism gave new life to the old futile ideas. The European syndicalist movement received considerable impetus from developments in America that culminated in the formation of the Industrial Workers of the World. The leaders of the radical movement in America, both political and industrial, were misled into believing that this movement was going to sweep all before it; they therefore wanted to get in and influence it with their particular ideas. Hence, like the old International, it was a hotch-potch of conflicting ideas and soon fell to pieces from internal quarrels. The closed-shop attitude of the American Federation of Labour was stirring up revolt among unskilled workers and those organized in the Western Federation of Miners, the American Labour Union, and the American Railway Union. The AFL's policy of collective bargaining and separate contracts led to one union scabbing on another; the leaders of the AFL acted on the principle that there was a harmony of interest between employers and employed, and they urged that the strike should be replaced by a mutual contract. High initiation fees (up to £100) and high membership dues closed the unions to almost all but the highly-paid skilled workers, who were a peculiarly American product. The masses of poorly paid men, women and children, as well as black workers, were practically ignored by the AFL and had little chance of rising out of their depressed condition. In January 1905 a few prominent trade unionists, some of whom were members of the Socialist Labour Party and the Socialist Party of America, decided to call a conference to set on foot an industrial union, based upon the class struggle, that would include all workers, skilled and unskilled, white and coloured, on an equal basis. The conference in June and July 1905 produced the Industrial Workers of the World. It was attended by anarchists, advocates of the General Strike, and advocates of political action; the result was a programme that endeavoured to meet these conflicting views. The futility of this compromise programme soon became evident, and after a few years the anti-political elements captured the movement. It was reduced to a few thousand members and, after the 1914-18 war, most of what was left was swallowed in the Communist movement. At the founding conference of the IWW the General Strike was scarcely mentioned: the only two to do so were the anarchists Klemensic and Lucy Parsons. The latter referred to it in an emotional moment when speaking of the Haymarket affair and the execution of her husband. It may be mentioned that she, like many other delegates, had been carrying on a prolonged and unselfish struggle against the terrible conditions suffered by the workers. The most controversial proposal adopted by the conference was that the workers must struggle to "take and hold that which they produce by their labour through an economic organization of the working class without affiliation with any political party". The most persistent and acomplished defender of this standpoint was Daniel De Leon. His standpoint can be summarized as follows. Both political and economic organization are necessary, but the latter is more important because only it can "take and hold". If the workers take political power out of the hands of the capitalists, the latter still retain their economic power. Political power is a reflex of economic power, and the former cannot reach fruition until the latter exists : the economic power of the workers can only be obtained through industrial unionism which organizes industry on a plan that gives the workers control. In laying down this position De Leon made an astonishing statement. He repeated it a few days later, in more detail, in a speech which was published by the SLP in 1919 under the title Socialist Reconstruction of Society. "In no country, outside of the United States, is this theory applicable; in no country, outside of the United States, is the theory rational. It is irrational and, therefore, inapplicable in all other countries, with the possible exception of Great Britain and the rest of the English speaking world, because no country but the United States has reached the stage of full-orbed Capitalism-economic, political, and social--that the United States has attained. In other words, no other country is ripe for the execution of Marxian revolutionary tactics . . ."
Later on, history played its little joke. The Bolsheviks put forward the above argument but based it on exactly opposite grounds - that it was because Russia was a backward country that circumstances made it the country where the Marxian theory of "tactics" (as defined by them) was first applicable! How the workers are to get control of industry without first getting control of political power De Leon nowhere explains; he makes the nebulous argument that the socialist ballot is the emblem of right but is useless unless backed by industrial might to enforce it. The serpent of reform raises its head in his argument that, while the political movement must make a clean sweep, the industrial one can take over production gradually, a little at a time. De Leon is an instance of the contradictory positions into which those are led who set out to build large followings by compromise, instead of waiting upon the growth of the workers' knowledge. His difficulties were partly due to his treatment of the industrial and political movements as two absolute entities. He overlooked the fact that when the workers are sufficiently class-conscious to capture the political machinery for the purpose of introducing Socialism, the same people are in the industrial organizations and will have used their knowledge to bring these organizations to a similar state of development. The total number of workers represented at the 1905 conference was nearly 50,000, but the main voting strength came from the Western Federation of Miners and the American Labour Union. There were a number of delegates representing small unions, and a number representing only themselves. The form of organization adopted for the IWW was "Thirteen industrial divisions subdivided into industrial unions of closely kindred industries". A chart was subsequently published in a pamphlet by Trautmann, One Big Union, which gave a picture of the proposed constitution. Its final working-out deprived the ordinary members of real power. Delegates were appointed to committees, which in turn appointed delegates to higher committees, and so on in the fashion later adopted by the Russian Soviet constitution; ultimately, the officials of the Central Board were those wielding controlling authority. "as a system of society in which there shall be neither exploiter nor exploited, and in which he who contributes to the well-being of society shall receive the equivalent of the full product of his labour." This attitude had been pulverized by Marx in the Critique of the Gotha Programme. According to it, those who produced most received most and those who produced nothing-the sick, crippled and aged, and children-received nothing! Also there would be no provision for future production. Behind the statement, however, lurks the syndicalist attitude-the mines for the miners, the factories for the factory workers, etc. "Equipped with the power of an industrial organization, with the knowledge gained in the everyday struggle against the oppressors, they will successfully strive for a higher standard of life-conditions, within this system, and they can master things and forces so that, they will reach the final goal of their efforts-complete industrial emancipation." As the industrial union movement claimed to be out for the overthrow of the system but as, at the same time, it professed to be able to fight the workers' battle for better conditions more successfully, it would draw into its ranks those who agreed with its object and also those who thought it offered a better medium for gaining improvements in conditions. If the movement attracted a large number of workers, the first group would of necessity be very small, while the second would be so large that it would swamp the organization and turn it into a pure and simple trade union movement. Syndicalism as a movement has a number of objectionable features from the working-class point of view. Its principal weapon the General Strike, if it could be as successful as its advocates hoped, would only result in social disaster. Its vision of the future is mixed, envisaging either groups of autonomous communities or a society split into self-contained industries. Its propaganda drives it to include violence. And violence kills free discussion, attracts the worst elements, breeds disunity, invites repression, and plays to the emotion rather than to the intelligence; it develops fear instead of conviction and encourages mutual distrust; it encourages the worship of leaders and endows them with an inordinate amount of power. Finally, syndicalism, by ignoring the source of state power and its effect, is incapable of enabling the workers to achieve their emancipation from capitalism and establish Socialism. Fact: President Chirac said that France would vote against any resolution that authorised force whilst inspections were still working. Chirac said that he "considers this evening that there are no grounds for waging war in order to ... disarm Iraq." SOYMB will simply echo Alan Greenspan ,18 years as chairman of the Federal Reserve Bank , the nation's central bank, in his new book, "The Age of Turbulence: Adventures in a New World,"
"Whatever their publicized angst over Saddam Hussein's 'weapons of mass destruction' , American and British authorities were also concerned about violence in an area that harbors a resource indispensable for the functioning of the world economy," Greenspan wrote. "I'm saddened that it is politically inconvenient to acknowledge what everyone knows: The Iraq war is largely about oil"
It has been announced that Howard Zinn , the radical American historian and activist , has died . SOYMB can't pretend to agree with Zinn all the time. Zinn was often prone to supporting reformism on grounds of "pragmatism", provision of public health-care in the US being a case in point. However, given where he comes from and the generation he belongs to, it is at least understandable. "Human beings make history, but not always in circumstances of their own choosing," as Marx was fond of saying. Given all the history out there being written by bourgeois apologists, plodding careerist empiricists, dull local-fixated antiquarians and childish, pretentious postmodernists, we need more radical historians like Howard Zinn whose books such as "A People's History of the United States" are proscribed in US schools. He exposes the lies and spin and self-interest from the time of the first president right through to the current incumbent. He shows how fear, suspicion and discrimination were deliberately harnessed as tools by those with power to set sections of the population against each other in order to pre-empt them joining forces against the real tyrants. The steady march of capitalism and the two-party system, whilst promoting democracy and wealth for all, have their eyes set only on the twin goals of control at home and control of the world, i.e. democracy for none and wealth for a few. For anyone coming into contact with Marx's ideas for the first time, dreading the volumes of political economy and having only ever heard second-hand, distorted accounts of Marx's theories Zinn's play "Marx in Soho" is a welcome first point of reference in which Zinn makes Marx's ideas accessible and the man himself, less the spectre that haunted Europe, than some 19th century alternative comedian who just happens to know what capitalism is really all about. 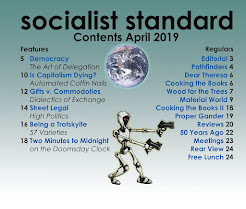 A post about the practicability of socialism , this is an abridged version of an article from World Socialist (No.2 Winter 1984) by Brian Montague and Ray Rawlings about how socialism will address real problems . The article anticipated the rise of the internet and the home computer and interactive television and the promise of E-democracy . Building Profits versus Building HomesHousing is one problem of capitalism which has been a constant source of difficulty and is part and parcel of working class life. Few members of our class escape some aspect of housing trouble .Whether it is the complete crisis of homelessness , or the stress involved in keeping our homes through paying rent or repaying a loan . Most members of our class live in relative poor housing , some of which is within the bounds of adequacy , while the rest reflects the worst in living conditions . Our quality of housing acts as good guide to the degree of suffering associated with the many other problems inherent in our class position such as bad health , poor nutrition and inadequate education . We can therefore accept that the problem of housing reflects the problems of capitalism . Accepting this , it is logical to assume that the solution to the housing problem is only attained through the solution of the problem of capitalism . In the beginning an investigation into housing difficulties , one simple observation should help us overcome our surprise at the absurd nature of our findings : that production under capitalism , not least the production of buildings , is based on he ability to achieve a profit and not to fulfil human needs. The first fallacy to dismiss is the belief that “housing shortage” is the beginning and end of the problem. As it so happens , there is currently in some areas of the world severe “housing shortage” and this has been the case at different times throughout history . This is not however the source of the problem , because if it were it could be logically assumed that there was some intrinsic inability of society to meet the housing needs of its populus . It has had plenty of time and resources to do so , so this is clearly not the full story . The problem in the economically developed parts of the world is one of “allocation” . In other words , how best the housing stock is to be distributed to meet human requirements . A scant observation shows that the ability to pay is the deciding factor in gauging the standard of housing to which you are entitled .A walk around the slum areas of your city will tell you that it is the elderly , the mobile poor and the immigrants who are concentrated in the poorest housing stock. It is no coincidence that these lowest financial groups live in the poorest housing conditions ; housing conditions which least meet their needs - the elderly with no care facilities , and young children in high-rise flats . It is also important to realise that this group and others such as the homeless , mental patients and ex-prisoners - those who make the poorest section of our class - have little chance of housing themselves , and must accept “being housed” . The limitation on their freedom puts them in a more degrading position than the urban poor in the shanty towns of Latin America and elsewhere who have at least built their own homes, even though living in the most incredible poverty. The relationship between the housing problem , the building industry and our economic system has hopefully become clearer. The facts tell us the industry suffers many problems which have been related to one thing : the contradictions and conflicts of the system of capitalism . It is us as members of the working class who best know the problems we go through in order to acquire and keep the place we live in and the standard of accommodation we are subjected to. From this experience it is abundantly clear that the provision of housing is not related to our needs . The facts also inform us that capitalism prevents this from happening because of the economic obligation forced on those who do the building . No one decides we should live in slums . Housing is probably the one basic need which , were it properly satisfied , would be the most conductive to good emotional and mental health . It is , surely , very pleasant and soothing to relax among pleasant and agreeable surroundings . The fact remains that such a happy situation only applies to the small to the small minority of the population who have the means to buy beautiful homes . The vast majority suffer a housing problem of one sort of another , whether it be living in slums or near slums or being plagued by the fears and insecurities caused by trying to pay off a mortgage . Governments do initiate various housing reforms to try to solve these problems , but these always fail . Why is failure so total , especially when the materials , know -how and labour power exist to adequately deal with the problem of providing decent housing for all ? Is it because of stupid or corrupt politicians ? Many people believe so and view a particular governments shortcoming’s in light of the various abilities and characters of its leading members . But in actual fact these factors play a very subsidiary part and make no fundamental difference . Some politicians and civil servants , assigned various tasks , may be very well-meaning and in some respects efficient , but in the final analysis fail because they cannot succeed . When socialism is established it will be necessary to set up councils at local , regional and global levels for the administration of social affairs in every aspect of productive activity . Also there will have to be councils whose functions will be to co-ordinate the work of the various specific councils . The majority of the people in a local area will make decisions affecting that area specifically , the people in a certain region will make decisions for that region and everyone will make global decisions . This will mean that everyone must have access to vast amounts of knowledge , concerning what each area produces , where it is stored , how what is needed can be got from one place and moved to another . All this knowledge can be stored in computers which can be hooked up to the TV system , so that people can receive whatever knowledge they wish by pushing a button. When it comes to voting on specific issues people need go no further than their living room . Even today TV stations invite viewers to phone in their verdicts on alternative programs The results , which depend on what the number is dialled , are quickly computer translated and announced in only a few minutes . If this is possible under capitalism , one can imagine the tremendous advantages that can be made in a socialist society when people will be able to utilise the technology built up under capitalism as well as improve on it . 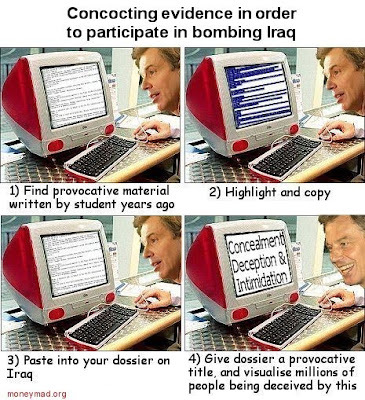 People could , if they wanted to do , check and see how a certain project was progressing by tuning into a computerised -TV-News media , so that whatever was happening could be under the constant scrutiny of society as a whole . It would have to be decided , what region and what local area requires houses, how many , what type or style , what materials they will be made from and how much of each is required . Obviously , with this will go the many and various decisions concerning town planning , roads , recreational facilities , shopping centres ( though we may not call it shopping then ) . Though the work involved may require many people , they will be forthcoming from all the occupations made redundant by the overthrow of capitalism , such as production for war and anything concerning finance , advertising , etc. Schools for training and re-training people in the various skills will be set up , and as far as the productive work goes they will have the machinery capitalism created plus whatever advances on this the first members of socialist society will make . People with specific skills related to housing , or those who wish to learn them , can give their names and lists o skills to an administrative office similar to present man-power or labour exchange offices and can be notified where their skills can be used . After socialism has solved the initial task of clearing away capitalism’s rubble in every respect ( feeding , clothing , housing , educating , clearing away the pollution curing curable diseases ) , then it will be apparent that the change in society will be more than just production for use instead of profit , but will entail vast changes from top to bottom in every part of society . Nowhere will this be apparent more than over how we group in communities . Cities as we know them to day will probably no longer exist as people won’t want or need to be condensed in a particular area . When starvation has been stopped and when every human being has a roof over their head , then socialist society can turn to satisfying people’s needs in a more sophisticated way , and this will certainly be the case in housing . Whenever there is a need for a new type of house , a town or a building for the use of the community , architects will submit plans and models which can be voted on by the community as a whole in a given area . Though there may be competition between the various architects and planners , it will be from the premise of who can best beautify the locality . One can be certain that there will be new types of dwellings . Along with the disappearance of cities as we know them will also go the high-rises , those up-turned shoe-boxes where people are crammed in like sardines, to be replaced with buildings where people can at least live like humans . With whatever changes in the family structure the new social conditions will create will also come a need for new types of homes ; there may be a type of communal home . And it may be that the design of a building will be determined by its functions , its given physical environment and the materials to be used . Whatever the case , people will be able to choose their home to suit their own particular needs concerning physical comfort and recreational requirements . Who would not want such a society ? So why not organise politically for its speedy establishment . SOYMB has posted previously on the capitalist wasteful system towards food , where the short term drive for profit over-rides the sensible and rational use of resources. The Financial Times carries a report on the continuing problem of food waste. Food waste is so widespread that experts believe if it could be eliminated there is already enough to feed the expected world population of 9 billion people in 2050. In the UK at least 8.3m tonnes of food is thrown out every year, of which 5m tonnes is perfectly edible. About a third of all the food the average British household buys is thrown away uneaten. Food production and consumption represents about a third of the UK’s carbon footprint and contributes very substantially to the problem of climate change. The two most important ways of reducing food waste are to change business and consumer behaviour so that less food is thrown away in the first place. For instance, retailers have long tempted customers with special offers, such as enticements to “buy one, get one free”, encouraging customers to buy more food that goes uneaten before its sell-by date.The other extraordinary waste in the food production industry comes from retailers rejecting the large amounts of food that falls below its exacting aesthetic standards, and from systematically over-ordering food to keep on presenting consumers with full shelves. Some food waste is unavoidable, yet it is possible to recycle it. (Part of the large carbon footprint of the food industry comes from the disposal of waste food in landfill, where it rots and generates quantities of methane) . Waste oil can be used directly as a fuel - waste cooking oil into a diesel vehicle fuel substitute.Anaerobic digestion is a way to turn solid food waste into fuel. This can be done in centralised waste depots, or on farms, where slurry or manure can be used as a fuel.Compost is another use for recycled food.Giant composting units where food is taken into huge vessels to be mulched down.The resulting compost can be returned to farms. Defenders of capitalism argue that the chief feature of the market system is its efficiency.Socialists reject that claim . The reason the world's resources are plundered and wasted , is that we are living under an economic system that is geared to making profits rather than to satisfying people's needs. “Profits first, People second” is an iron law of the system which cannot be altered. The American National Nurses Union went to their membership. "Who would be willing to go to Haiti right now?" Almost 12,000 nurses signed up, who are willing to go right now to Haiti.Imagine if we could get 12,000 nurses there , with the necessary supplies, how many people could have been helped. Instead the Americans turned away medical aid planes so they could offload thousands of Marines to establish security and "law and order"
The divide between rich and poor is greater than at any time since the Second World War, according to the Government’s own report into inequality. "people's occupational and economic destinations in early adulthood depend to an important degree on their origins". Britain remains a nation riven by class “from cradle to grave”. Social mobility measured by both income and profession is low, with signs that the class divide now opens up among children as young as 3 yr old . Differences in educational attainment among pre-school children are so stark that researchers believe that each extra £100 a month in household earnings when children are very young is worth a month of cognitive development. Increasing inequality meant that by 2007-08 it had reached its highest level in the years since figures began in 1961. But comparison with measures based on tax records suggests that this is the highest level of income inequality since soon after the Second World War. The Guardian article desscribes how the richest 10% of the population are more than 100 times as wealthy as the poorest 10% of society.The household wealth of the top 10% of the population stands at £853,000 and more – over 100 times higher than the wealth of the poorest 10%, which is £8,800 or below (a sum including cars and other possessions).When the highest-paid workers, such as bankers and chief executives, are put into the equation, the division in wealth is even more stark, with individuals in the top 1% of the population each possessing total household wealth of £2.6m or more. The lowest 10 per cent aged 55 to 64 has houses, pension rights and other money worth less than £28,000. The richest 10 per cent have more than £1.3 million. "The evidence we have looked at shows the long arm of people's origins in shaping their life chances, stretching through life stages, literally from cradle to grave. Differences in wealth in particular are associated with opportunities such as the ability to buy houses in the catchment areas of the best schools or to afford private education, with advantages for children that continue through and beyond education. At the other end of life, wealth levels are associated with stark differences in life expectancy after 50," the report states. The panel says the government is a "very long way" from fulfilling its vision, set out in 2001, that "within 10 to 20 years no one should be seriously disadvantaged by where they live". Yet another all rather predictable failure of reformism to rectify inherent problems of the capitalist system !! Seroquel was launched in 1997 for treating schizophrenia and later for bipolar disorder. John Blenkinsopp, the company's former UK medical manager, claimed he was pressurised by the company's marketing arm to approve claims about the drug which he felt did not reflect the medical evidence. Thousands of patients are suing AstraZeneca in US courts, claiming the drug Seroquel caused weight gain and diabetes. The patients allege Seroquel, its second biggest selling drug worth $4.5bn (£2.7bn) a year, was marketed without adequate warning about possible side effects such as massive weight gain and the development of diabetes. Drugs, as with all else that is produced in this world today, are produced for one reason only – to make a profit. The number of children in homes in this category rose 260,000 to 1.7m from 2004 to 2008. The report warns there is a danger that severe poverty could rise even further. The government defines relative low-income poverty as less than 60% of contemporary household median income, and absolute low-income poverty as less than 60% of 1998/99 median household income. However, Save the Children defines severe poverty as those living in households with incomes of less than 50% of the UK median income (disregarding housing costs) and who were also missing some basic possessions, such as a winter coat. Save the Children calculated there were 1.46 million children in what they call severe poverty in 2004-05. Four years later the number had risen to 1.7 million. The charity claims that at the end of 2008, 13% of the UK's children were living in severe poverty, up two percent on 2004 . The report predicts the recession is likely to have increased severe poverty by a further 100,000 children. Efforts to reduce child poverty have not just stalled, they have actually gone into reverse. Save the Children's director of UK programmes Fergus Drake said: "It's shocking that at a time when the UK was experiencing unprecedented levels of wealth the number of children living in severe poverty - we're talking about children going without a winter coat, a bed and other day-to-day essentials - actually increased." Poverty wrecks lives and children living in poverty are more likely to end up homeless, develop drug addiction or alcoholism or become victims of crime. When these children grow into adulthood they are more likely to suffer ill health, be unemployed, commit offences and themselves get into abusive relationships.That is the true, inescapable child abuse which children endure and which goes on to distort their lives. Politicians simply go through a pretence of improving certain features of social security but in the end it is nothing more than shadow boxing around the issue of child poverty. The Socialist Party of Great Britain does not support the undemocratic policy of seeking to restrict freedom of speech. We are in favour of free speech for everyone, not excluding fascists. And we practice what we preach. Not because we have any sympathy for their views, but because we think that the best way to deal with these views is to expose them for the dangerous nonsense they are.We hold that out of full and free discussion of today's social problems only one valid conclusion can emerge: that socialism alone will provide the framework within which they can be solved. Full free speech means exactly what it says: any and every view should be allowed expression so that it can be examined and shown to be wrong. People who deny the validity of our tactic of combating the BUF or BNP in calm, open argument are in effect denying that workers are capable of being convinced rationally for the case for socialism.The ultimate basis of all arguments for censorship (and the call for "No Platform for Fascists" is a call for censorship) is such an assumption that people are too stupid or irresponsible or immature to make up their own minds and that some superior body must therefore decide for them. This report from 1935 shows that we have been consistent on our defence of democratic discussion and our willingness to debate with the so-called pariahs of politics. The following is a summarized report of a debate that took place at Mawney Road Schools, Romford, on March 23rd, between E. Hardy, representing the S.P.G.B., and Mr. Probyn, representing the British Union of Fascists. The subject was "Fascism or Socialism" . The chair was taken by Mr. Wilson, Editor of the Romford Times. Comrade Hardy opened the debate by pointing out that he was speaking as the representative of the S.P.G.B., and it followed as a matter of course that he was not prepared to defend the principles or policy of any other organisation than the one he represented. It would be necessary in order to consider the case for Socialism and the case for Fascism first of all to take a glance at the existing condition of things, to which Socialism and Fascism are offered as alternatives. The existing system is capitalism. Its essential feature is that the means of production and distribution are owned and controlled not by society as a whole but by a section, the capitalists. Less than one-quarter of the population own between them nearly 90 per cent, of the accumulated property of all kinds. Facing them is the working class which lives by the sale of labour-power to the capitalists. The one class lives by the ownership of property and is a non-wealth producing class. The other class lives by selling its mental and physical energies for wages or salary, based roughly on the cost of living of the various groups of workers. It was necessary at this stage to remove any misconception about the term working-class. It is not used by Socialists in the popular loose way to describe industrial workers only, but in a precise way to cover all who have to sell their labour-power as their normal means of living. The term applies, therefore, to clerical workers, Government employees, technical workers, salaried managers and so on, making up in all about 85 per cent, of the population. The consequences of capitalism are too well known to require long description. First there is poverty in the working-class face to face with extremes of wealth in the capitalist class. Then there is unemployment, a normal feature of capitalism throughout its history. Then there are crises which periodically aggravate the normal evils of capitalism. Capitalists permit the workers to produce wealth only if they anticipate being able to sell at a profit. If this anticipation is absent then the capitalists can and do curtail production, close down the factories, etc., and throw millions out of work. Next there is class hatred, an inevitable consequence of the division of society into an owning and non-owning class. Lastly there is war. When the capitalists fear that foreign rivals are endangering their investments abroad, or are threatening markets, trade routes, etc., they set the armed forces in motion when bluff and threats have failed. These are the consequences of capitalism and they are not recent phenomena as is sometimes supposed, but have existed since the beginning of capitalism. The remedy is Socialism. Consequently the S.P.G.B. stands for Socialism alone and not for any other isms—"Socialism, the whole of Socialism, nothing but Socialism" . Socialism means a system of society in which the means of production and distribution are owned and controlled by society as a whole and in which the members of society co-operate in the production of wealth and have access to the things they have produced. There will be no longer an owning class which does not produce and a producing class which does not own. Socialism will end the evils produced by capitalism. Poverty, the contrast of rich and poor, will be ended. The wages system under which the members of one class sell labour-power to the members of another will likewise be ended and with it will go the unemployment problem. Production will no longer be under the control of a class seeking profit and able to curtail production when the anticipation of profit is absent. Consequently Socialism will end crises. 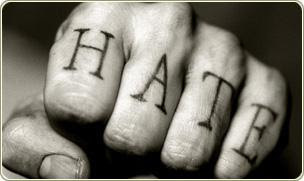 It will likewise end class-hatred and war. Now that the attitude of the S.P.G.B. towards capitalism had been explained it was necessary to explain where Fascism stands. Because of the evils which flow from capitalism there is always discontent, sometimes increasing, sometimes subsiding. Reformist political parties therefore come into existence rallying the discontented round them by promising to deal with particular evils and using the discontent as a means of raising their particular party to office and the sweets of office. The reformist parties are all bound to fail because they leave untouched the private property basis of capitalism. The B.U.F. takes its place among the organisations seeking to reform capitalism while leaving its basis intact. The B.U.F. differs from the older reformist parties in two main respects. The first is that while these talked much of their programme of social and economic reforms and little of methods, Sir Oswald Mosley concentrated all his attention on methods and little on ends. Thus two articles by him (Daily Mirror, March 11th, and Daily Mail March 4th) contained much about reforming Parliament and nothing about what he intends to do if ever in power. The second difference is that the older reformists were democratic while the B.U.F. attacks democratic methods. This is due to the fact that the workers in many countries have seen capitalism administered by democratic reformist parties, and in their disgust at the discovery that capitalism administered by Labour and similar parties is no better than it was before, many of them have turned to an antidemocratic reformist party. The British Union of Fascists has a number of points in its programme, but the outstanding : characteristic is that although they claimed originality none of it is new. The whole has been taken over from other reformist parties. Even the name "Fascio" was in use as the name of an Italian Labour paper thirty or forty years ago and it was probably there that Mussolini picked it up. Regarding the Fascist doctrine of leadership, this again is old. Ever since its formation the S.P.G.B. has been doing its best to combat the leadership idea among the workers. What is needed is not leaders, but Socialists who know what they want and how to get it. But let us examine Mosley's credentials as a leader. In the first place there are two people who have regarded him as a genius—Lord Rothermere and Mr. Ben Tillet. That alone is almost enough to damn him. Mr. Tillet was once an admirer of Horatio Bottomley, and Lord Rothermere's admiration of Mosley places him alongside others whom Lord Rothermere has recently described as geniuses—Hindenburg, Hitler and the ex-Crown Prince of Germany, the man who used to be held up to ridicule as a figure of fun in the Daily Mail, under the name of Little Willy. Since 1918 Mosley has belonged to a number of parties. He was led up the garden first by Lloyd George and the leaders of the Conservative Party. Then he stood as independent, then he was taken in by J. R. MacDonald and Maxton. Then he formed the New Party and then the B.U.F. Here you had a leader who could be taken in by a whole succession of political quacks. Look at it from another point of view. The Fascist idea of leadership implied the ability to choose men to act as his lieutenants. Before he formed the New Party Mosley got 17 M.P.s and the late A. J. Cook, the miners' leader, to sign his manifesto. Ten of them deserted before the Party was formed and all but two or three deserted afterwards. This ended the first speech for the S.P.G.B. Mr. Probyn said that as usual he found nothing new in the Socialist case. He had been a Socialist for ten years and had even flirted with the S.P.G.B. However, he would leave the question of Socialism until his second speech and would first put the case for Fascism. The remarks made by his opponent relating to Sir Oswald Mosley contained nothing new. He had heard them many times before. With regard to the alleged arrogance of Sir Oswald Mosley he hoped to see every single person in Great Britain just as arrogant. The fact that he had been backed by Rothermere and Ben Tillet, both of whom Fascists detested, was no argument against Fascism. They were not going to quarrel with anyone who gave them publicity. The Fascists had never claimed there was anything new in their programme. What they did was to take all that was best in the other programmes. Is it going to be said that a sewing machine is bad because it is borrowed from abroad ? There were many points of similarity between himself and his opponent. The present system was rotten and a system that did not guarantee a full life to all must go. Fascism does not believe in class distinctions although recognising that class struggle exists. It asks people to remember first of all that they are British people, born in this country, and entitled to a full and free life. The present organisation of capitalism for private profit had as its roof the international organisation of finance. It was international finance that exhibited solidarity and with which Fascism quarrelled. The so-called international solidarity of labour was a myth. Great Britain was our own country for which many of us had fought, believing that we were fighting for a new world as promised by the Welsh wizard, Lloyd George. But we found we were wrong, it was a delusion and we were not going to fight for it any longer. That is the be all and end all of it. Democracy was a farce and a failure. It has never yet accomplished anything and never will. Any government given power to govern should do so for all and not for sections, as at present. Socialism asks us to wait until world conditions are ready for a change, but that will be over 500 years hence. We are not going to wait until every Hottentot has a bicycle. Fascism believes in getting down to earth and making the best of the material we have now. Unemployment, slums and so forth are on the increase and have been existing for generations. We are trying to build up a new nation while some people are waiting for the New Jerusalem. We want our pie now. The problem of production has been solved, but not that of distribution. The present system has got into hands of international bankers who are the real power in the world to-day —Baldwin and his like are only puppets. Fascism is going to break this stranglehold in Great Britain anyhow. Ownership does not matter. What really matters is what is done with the thing owned. A revolver lying on the shelf at home is harmless, but used in the street to shoot people is dangerous. That is where the control must be exercised. The ownership of the means of production has to be controlled in the national interest and not from Whitehall but by the whole people. There are three classes in society to-day: employers, employees and consumers. Fascism proposes that each shall be represented on a board of management in the interest of the community— Be British is what counts first. Produce to the fullest capacity in order that consumers can have ample. Fascism prohibits the importation of what we can produce ourselves. We are brought up to believe that Great Britain cannot support itself—it is a psychology taught by our governors who want cheap foreign goods and to export to foreign markets. Industries are transferred abroad (as in the case of jute) and workers here put out of work by those who own the industries. Money made in cotton here is taken to China and used to develop production that competes against Lancashire. The people who do this are the international financiers. Hence the necessity for the national question first. It is said people in Great Britain will never stand a dictatorship, but there is now a dictator in every street. What are landlords, managers, foremen, etc., but dictators? Fascism is striking at the heart of capitalist dictatorship in England. It is true that it is not proved that England can be self-supporting, but all Fascists say is that there is plenty of land that can be put under cultivation. They are going to help the farmer to take an active interest in the land but that he is not going to make large surplus profit out of it. They quite agree that work is good for all people. We are ruthless and we are going to attack all vested interests of bankers and present trade unions, etc. Under Fascism franchise will be on an occupational basis and the representative will be a member of the trade that supports him, and so will be able to talk intelligently on industrial questions. Fascists believe in private enterprise. Every man and woman should own a stake in the country but no one will be allowed to exploit his ownership. The State will be absolutely supreme. Community interest will be paramount and no one will be allowed to do anything against the interest of others. The aim of Fascism is to develop production to its utmost capacity and so organise affairs that production and consumption balance. Second Speech for the S.P.G.B. In his second speech, Comrade Hardy pointed out that several ideas incorporated in the Fascist programme were suggested in the first place by the writings of Bishop Berkely 200 years ago. They were borrowed from Berkely by Mr. Strachey who helped Mosley to form the New Party. There is a close parallel between Mosley's admiration for the public works schemes of Mussolini's government and Berkely's writings, with, however, one interesting omission. Berkely advocated slave labour or "temporary servitude" for the unemployed. The resemblance to the Fascist Labour camps is obvious, but Mosley was no doubt squeamish about advocating slavery here. Sir Oswald Mosley spends much time denouncing the Parliamentary machine. Yet there is abundant evidence that when the majority really wants something Parliament can get measures passed, from first stage to last, in 24 hours. Regarding Mosley's promise that under Fascism the electors would be allowed to vote periodically for and against the continuance of Mosley in office, would Mr. Probyn tell the audience when and where the rank and file of the B.U.F. had ever voted for and against Mosley as their leader? The B.U.F. undertook to "eliminate" party politics. Did this mean that there would be no debates allowed? Mr. Probyn had stated that Fascists despise Lord Rothermere. That does not get over the obvious fact that the latter, as well as other big business interests, look with approval on the B.U.F. Rothermere does not give free publicity to the S.P.G.B. It was obvious, too, that Mosley has been able in the Fascist movement, as in the New Party, to obtain funds from wealthy men. He had himself spoken of big business sympathy with his movement. Mr. Probyn had said that Fascists recognise the existence of the class struggle. The struggle is a fact arising from the existence of a propertied and a property less class. What is the Fascist remedy for this ? Writing in the Daily Mail (March 23rd, 1934) Sir Oswald answered this question as follows: "Our object is to remove barriers of class by removing differences in dress." Fancy trying to remove the differences between millionaires and paupers by putting them in shirts of the same colour ! The Fascist speaker had claimed that governments should govern in the interest of the whole community. As, however, he had admitted that classes exist, how can a government govern in the interests of an exploiting and an exploited class simultaneously ? The Fascists say they cannot wait for Socialism; they want something now. All the reformist parties have used this as an argument against Socialism. Mussolini has been in power for 13 years and Mosley in his "Greater Britain" explains that Mussolini has so far failed to carry out a programme to solve the problems of capitalism. The B.U.F. could not get a majority at the coming General Election. Suppose for the sake of argument that they got one in 1941. On the experience of Mussolini's slowness it would be another 13 years, 1954, before they began to do something. Comrade Hardy drew attention to the statement that governments are only tools of international financiers. How was it, then, that Mosley, after being an M.P. since 1918, took a post in the Labour Government in 1929? He must on that showing either be a tool or be very stupid. Regarding the Fascist promise that workers would vote occupationally, did this mean that the small number of employers and the large number of workers would have "equal" representation? If so, it would mean in effect disfranchising the workers. It was absurd to say that J. R. MacDonald is or was a Socialist. The S.P.G.B. had always denounced him and his policy. Almost all the points in Sir Oswald Mosley's "Greater Britain" could be found in "Where Socialism Stands Today" written by a number of Labour Party "intellectuals" but neither of the two books has any bearing on Socialism. They are merely two statements of reforms of capitalism. The Fascists, like the older reformist parties, talked about developing the Home market. Yet we have seen that when they get in power they carry on the struggle for foreign markets as before. Mussolini is pressing for the development of Italy's foreign trade in Africa and elsewhere, and Schacht, the economic dictator of Germany, is now reported to be planning subsidies for German exports in order to gain more markets. The Fascists talked of helping the little man to resist the encroachments of big business. Mr. Probyn had said that Fascism will not attack private property. How, then, would the Fascist movement, with its big business backers, carry out their promises to the little man ? Would they not break their pledges as had Fascists abroad ? The opposition has again made a wonderful speech and said nothing, and now I want to know what Socialism is. Opponent talked vaguely of common ownership and democratic control—of capitalist owning everything and worker nothing. Dan Griffiths has compiled a. book of definitions of Socialism drawn from reliable sources and he finds there are 263 different definitions. Some said it was a scientific attitude, others that it was a religious attitude. Some said it was just an attitude to life, others that it was a principle, and others again that it was an idea. One definition said it was sunlight opposed to darkness and so on. It is generally agreed, however, that Karl Marx is the basis of all views and K. Marx appeals to all that is base in humanity. One favourite rant is the theory of surplus value, but many people, including Dr. Lindsay, have shown from Marx himself that the case is wrong. It is useless to declaim against Ramsay MacDonald and Dr. Lindsay. They represent the view of seven or eight million people. Professor Laski and Bertrand Russell have made similar criticisms of Marx's theories. Marxist economics cannot stand up to facts and they are just the meanderings of a disordered mind. The S.P.G.B.. have not made much progress since 1904. The movement represented by MacDonald and Lindsay has made much more. Levelling down is the Socialist's idea. If a man has any property he is going to take it away. There have been some practical attempts at Socialism during the past 200 years and all have failed. The earlier attempts were made where there was plenty of undeveloped land and there was the best chance of success but everybody in the communities fell out. They could not work agreeably together. In the middle of last century Louis Blanc opened national workshops in France, but the only result was to land the people in debt and make them worse off. It has been the same since. The fact is human nature won't face Socialism. In Icaria community all people were the same, they wore the same clothes, etc. It all finished up by them starving as they were too infernally lazy to do anything. These experiments, including Russia, have cost the lives of millions of people already. With reference to Fascism abroad, Mussolini did not come into power to introduce the corporate state, but to get the people out of the morass they were in. The corporate state idea grew up later. We, here, start out with the idea. We don't care what happens abroad, we are concerned with what is happening here and dealing with it and not indulging in pipe dreams of Socialism. The British capitalists who exploit all over the world are worse than the foreigner, but there are also Socialist employers who exploit fellow Socialist workers. My opponent has taken what I have said out of its context. What I said was that we would not seek foreign markets with the aid of the British army and navy. Wherever we go it will be on the basis of an equitable exchange. We are not concerned with whether big firms or little men give us financial support. Anyone who wants to subsidise us can do so, I am willing to take away a cheque to-night. It does not matter where the money comes from. Fascism, however, is financed by its members and we are up against it, and have just as much difficulty in carrying on from a financial point of view as others. We are opposed to economic advantages reaped by big firms. People who invest in multiple shops, owing to their capacity to buy in large quantities, get cheap goods from abroad—that is where little men fail. We are going to stop this and compel all to buy at same price. The Corporation will set a price for all. The small man will have his rights and his voice will be heard on the council. My opponent asks when Sir Oswald Mosley ever takes a vote on the continuance of his leadership. He does not take a vote because we do not believe in taking a vote. Counting of noses is not an effective method, it includes the village idiots. The voice of members of the Fascist party is heard daily in shaping our policy and supporting the continued leadership of Sir Oswald Mosley. What we say to you is, here is a policy, are you prepared to accept it ? Final Speech for the S.P.G.B. Comrade Hardy pointed out that he had described Socialism in his first speech, and the S.P.G.B. 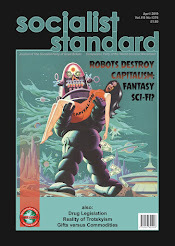 's principles are published in every issue of the SOCIALIST STANDARD. Socialism is a system of society based on common ownership. Mr. Dan Griffiths' list of definitions contained all sorts of things but he believed it did not contain anything from the S.P.G.B. He was not here this evening to discuss Marx. He would, however, say this, that if disordered minds were being discussed, what about Hitler's Frankfurt Institute of biological mumbo-jumbo and witchcraft where records ; are kept of the racial history of a man's father and mother, grandfather and great-grandfather, and so on ? Bertrand Russell, Laski, and Lindsay , had been quoted as to the unsoundness of Marx's economics. Not one of these is an economist and not one of them is competent to express views on Marx's economic theories. Laski had admitted as much regarding himself. Mr. Probyn, ignoring the fact that Socialism the fact that Socialism is a system of society, instanced a number of Utopian communities as if they had some bearing on Socialism. In one case he said that the Utopians were so keen about uniformity that they made all suits of clothes the same size. This is, of course, not Socialism, but capitalism gone mad, but talking of uniformity, what about the Fascist aim of compelling us all to wear shirts of the same colour ? Comrade Hardy repeated that he was there to defend the principles and policy of the S.P.G.B., not the reformism of the Labour Party. Not only had Professor Hearnshaw recently written to The Times pointing out that State capitalism is not Socialism, but at least three of Mosley's sometime associates, the late Mr. A. J. Cook, Mr. W. J. Brown and Mr. Maxton, had declared that the Labour programme is not Socialism but State capitalism. If, however, Mr. Probyn denied the right of the S.P.G.B. to speak for Socialism, he might retort by denying the right of the B.U.F. to speak for Fascism. The late Miss Lynton-Orman, founder of an older Fascist party, had denied Sir Oswald membership as not being a fit and proper person to speak for Fascism. Mr. Probyn had referred to the slow progress of the S.P.G.B. We had had much of our time taken up combating the errors of all the political parties of which Mosley had been a member. It was from all these parties that Mr. Dan Griffiths' so-called definitions of Socialism were obtained. Marx had been accused of advocating banditry. His advocacy of common ownership was an act of restitution. As for banditry, what of the German Nazi's theft of trade union funds? Mr. Probyn had said that the receipts of funds from big business men would not make, any difference to the principles of the B.U.F. Why, then, was it that Mosley is dropping the black-shirt idea and recruiting members who are just ordinary political members without uniform ? If, as is claimed, the B.U.F. is now hard-up for funds, that would only mean that Mosley had added still another to the list of his political failures. He said he was only concerned with the B.U.F. He would ask the audience if there was anything wrong in a person changing his view. Is it suggested that no one should change ? Sir Oswald Mosley did right to go into the other parties as they were the only ones existing. When he found them rotten he left, just as a workman discards a bad tool and shapes a better one. Fascism is too strong in this country for anything to stop its march to power. It will succeed just as day follows night. In Italy in 1920 the trade unions had no funds to seize as several strikes had already broken them, and the same was true in Germany. The fact was that trade union leaders had been getting rich and palatial offices which were built out of trade union funds. What has to be recognised, however, is that different nations have a different mentality, and what would be looked upon with horror by one country is quite alright in another. Germans as a race do queer things and so do others. In Japan, for instance, prostitution is looked upon as an honourable profession. What we do is alien to the mind of the Hottentot. Ramsay MacDonald has the support of ten or twelve million people and we will no doubt see a pure Socialist racket at the next election. To take away people's property is pure banditry. And how can you restore property to those who have never had it ? When the British Union of Fascists came into existence they could have called themselves anything they liked. The British Fascists, represented by Miss Lynton-Orman, was only a sub-committee of the Conservative party with a party bias, they were also strike breakers. The B.U.F. stood for a classless organisation. As far as the division in the party is concerned, which was referred to by his opponent, all it amounted to was a division between uniformed and ununiformed men. The uniformed men were the active supporters of the movement. The objection raised was only a quibble. His opponent had not made out a case against Fascism. He himself had the SOCIALIST STANDARD every month, but he could not see anything constructive in the little panel referred to—it was all beautifully vague. We can't get away from the fact that the S.P.G.B. supports all the rottenness of Marx. Pure Marxism was tried in Russia and only succeeded in killing millions. Matters were only improved when Stalin put it aside. The class war has no economic basis and is only the figment and meanderings of a disordered mind. The S.P.G.B. simply proposes to continue on its longest way for the next 666 years as it has in the last 31 years.